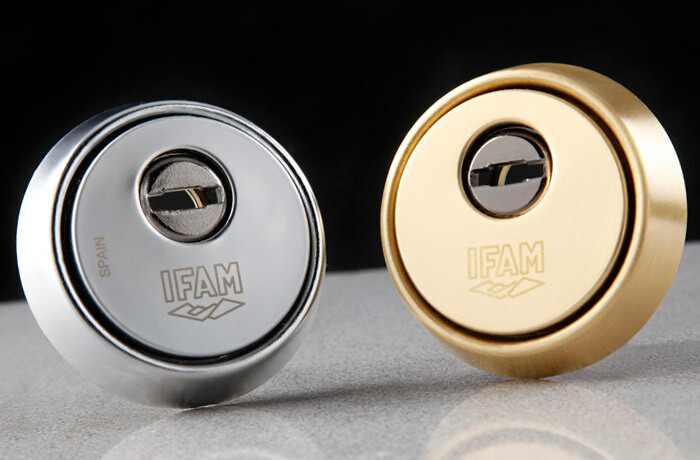 IFAM’s D-fender door escutcheon design combines great resistance and beauty. 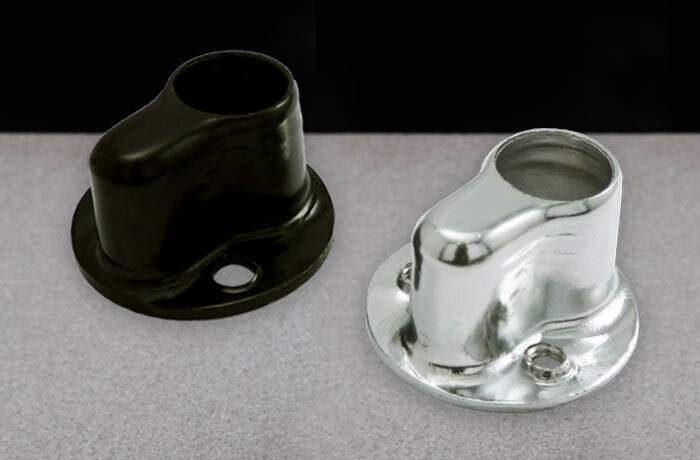 Its core and shell (or casing) are made of solid steel for the maximum protection of your cylinder. 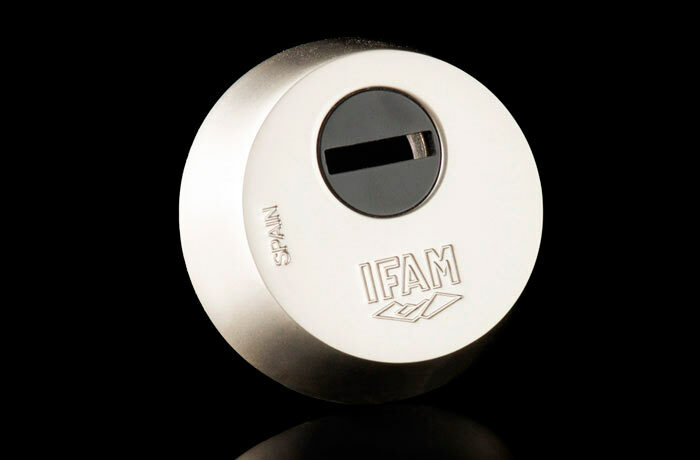 Its shape has been specially designed by IFAM to avoid extraction attempts. Available in two different sizes of outer shell. • Solid core and outer shell unit, both made of solid tempered steel and with a maximum thickness of 15mm. 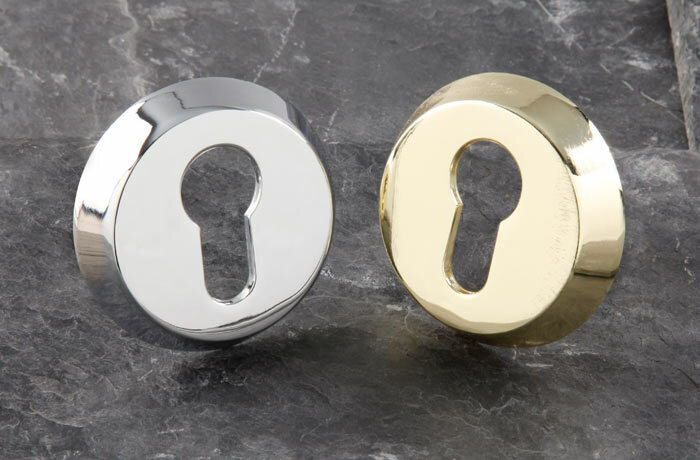 • Escutcheon’s core certified to the EN:1303:2015 security standard. 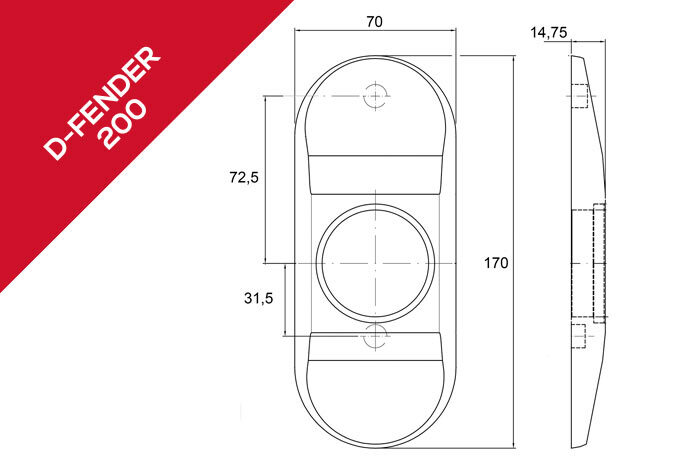 Includes 4mm tempered steel keyhole cover for ultra high anti-drilling resistance. • Shape specially designed and tested by IFAM to prevent attacks with extraction tools. 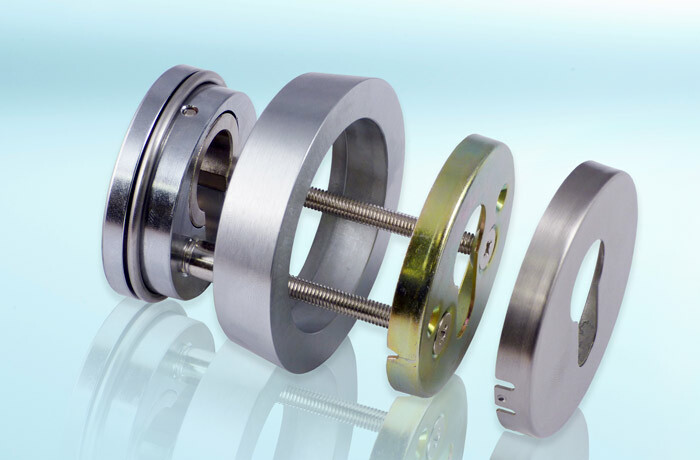 • Steel dowels included to reinforce security against torsion and face plate extraction attacks. 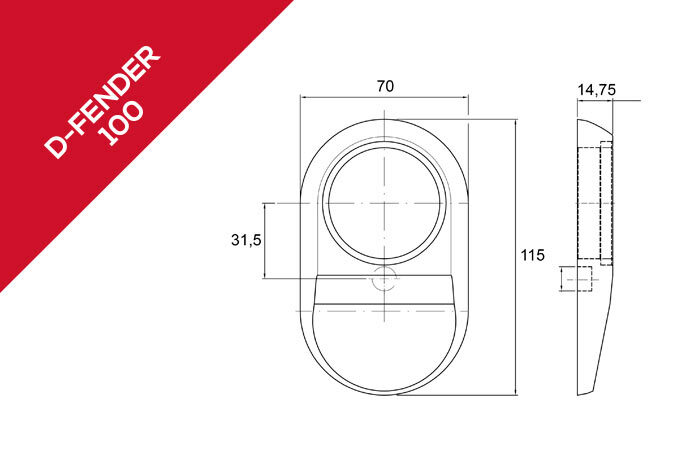 • Includes an extra washer so the core can be fitted perfectly into the outer shell depending on the thickness of the door. 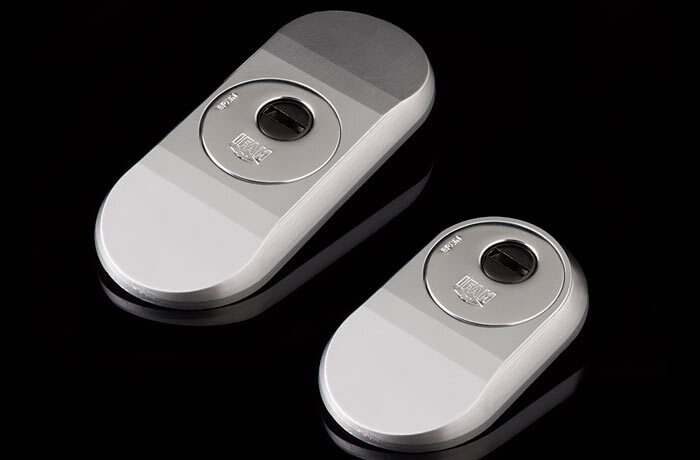 • The face plate core is attached to the door independently from the outer shell. • In the event of a forced outer shell extraction, another attack would be required to remove the escutcheon’s core. 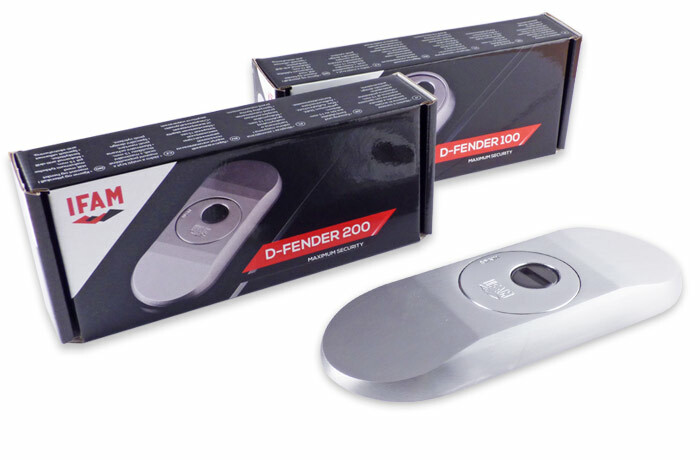 • Available in two sizes: D-Fender 100 and D-Fender 200. • Available in two finishes: brass and chrome. 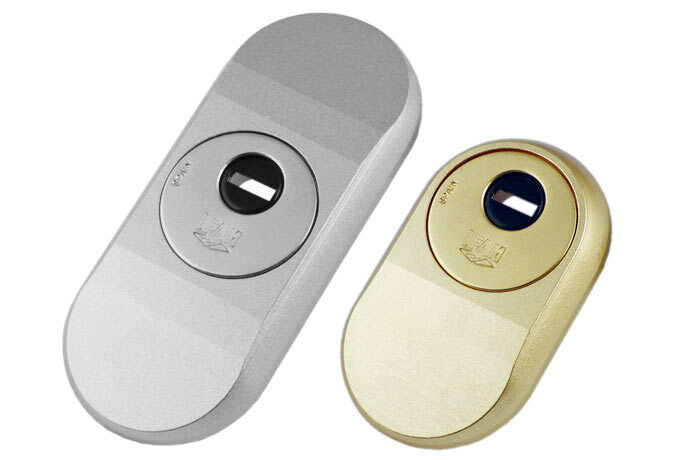 • Electrotype treated finish to protect the escutcheon from scratches and corrosion.